Apple has made it cheaper for customers buying a MacBook Pro, MacBook Air, or Mac mini to go for increased storage options, cutting the cost of upgrades on the higher capacity SSD selections by up to $400, depending on the model and SSD capacity. One of the quieter changes to the Mac lineup alongside other Tuesday updates, including a revamp of the iMac models, Apple has reduced how much a customer will have to pay to add more storage to a MacBook Pro order. Going through Apple's online order system, customers are greeted with slightly tweaked pricing for the Storage section, though with no official confirmation of the changes by Apple itself. The pricing has effectively remained the same for all models with 1 terabyte of flash storage or lower, with no savings offered for shifting from 512 gigabytes to a 1-terabyte SSD. Those opting for a 2-terabyte SSD can do so for $200 cheaper than the previous upgrade price, while 4 terabytes of SSD storage now costs $400 less to add to an order. The 1.5 TB MacBook Air SSD has been cut by $100. Apple has also cut the pricing on the 2TB drive in the Mac mini by $200. The Mac mini also benefits from another discount on memory. Opting for the 64-gigabyte upgrade is now $400 cheaper to perform, though lower capacities remain the same. The 13-inch MacBook Pro has a maximum capacity of 2 terabytes, making the maximum saving $200 on the highest volume SSD option. The 15-inch MacBook Pro is offered with both 2-terabyte and 4-terabyte options available. Apple does regularly alter the cost of its hardware, typically due to changes in component cost over time, though it can also be affected by currency fluctuations for some markets. The story is missing the raw numbers, which are kind of important. Even with the price cuts, the prices are insanely high, especially as an upgrade that doesn't include the cost of the base drive. To put that in perspective, many high-end NVMe drives are going for around $250 per terabyte up to 2TB. I don't know of any 4TB NVMe yet, but I assume Apple is getting there by adding more chips, since it's presumably soldered to the board and not constrained by M.2 slot shape/size. That extra space requirement is perhaps the reason the 13" can't have it. I get that Apple is a captive market when it comes to upgrades, especially lately, but RAM and storage upgrade prices are really getting out of hand. We are captive - that is why we bought three MacBooks with 4 TB SSD upgrades. Samsung's 4 TB NVMe are $2000 street price, not sure about their 8 TB offerings. Completely agree. It's even worse for models starting with less. Apple charges $200 for upgrading from the ridiculously small 128 GB on the Mac mini base model to 256 GB ($1.56/GB). Samsung 970 EVO costs $248 for 1 TB ($0.248/GB, or $159 for 512 GB which equals $0.31/GB). The iMac which was updated today still uses 1 TB 5400 rpm spinning rust on the base model. This contributes to a really bad user experience so I can't see why they still allow that in 2019. Personally I've moved my photo and video editing (Adobe Lightroom and Davinci Resolve) to a Xeon workstation with Windows but would like to come back to macOS if Apple's prices were not so insulting. Well we can at least see that Apple is feelings tiny bit embarrassed over memory pricing. Still not embarrased enough to move pricing to the point where you don’t have to bend over and take it. Frankly I fully expect to pay a little more for Apple hardware but here we are talking a lot more than a little. Upgrades are still 4-5 times the realistic value of the under lying hardware. This really isn’t acceptable. Paying 2 x while not ideal is at least barable. Now I have to seriously consider how much more machine I can buy in the Linux supported world. The “more” here can be significant. Honestly your onky other choice is Linux. That works “OK” for me but I really don’t see a solution there for you. Having run Windows 10 before switching my laptop totally to Linux I understand your pain. Windows was absolutely horrible on my laptop (new hardware at the beginning of 2018. Based on my workflow, frugality and security concerns with T2 controller and soldered on storage, I use external media for most of my offloading via NVMe USB-C drives and keep the core OS and targeted apps internal. 256GB is usually enough with 512GB being the max needed. If somehow my Macbook Pro 15 2018 goes to the big Steve Jobs Theatre in the sky, I can quickly just attach another Mac and keep working. Those times I need to take a project(s) with me, I can either move it to local internal storage or just take the external drive with me. This isn't anything new with me. I've been this way ever since my SE/30 died on me many moons ago along with its internal SCSI drive and I went into panic mode. Since then, the bulk of project/mission critical files has been external depending on the setup (IE, Cheese Grater I installed OS on one internal drive and projects, files on another). It just makes financial sense now on top of everything else. There should be two categories of Macbook Pro. 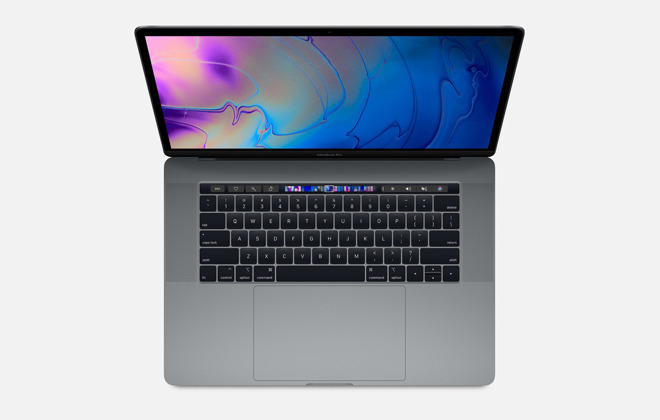 GOTO Macbook Pros and other with all bells and whistles including touch-strip, health sensors,Faceid,high end processors,large storages,etc. This is Apple's biggest issue and Achilles heel IMO. While the base model is pricey, that's what we expect from Apple. However when you start to increase storage, which of course you no longer can do later or on your own, the prices quickly climb to ludicrous. I'm running a 2012 MacBook Pro Core i7. With upgrades over the years I'd say I have less than $2000 into it. That's amortized over 7 years. To replace would cost me well over $4000 at once. Yes Apple's chips are the fastest, but I don't need that. If my 2012 dies it won't be replaced by a Mac at that price. To make it worse you get a crap keyboard with it and whole bunch of dongles to buy. IMO Apple needs a line of MacBooks for the upper end common folk who don't mind a little thicker and slower. Please say this doesn't affect the possibility of the MacBook Pro 2019 models having the 15" start with 512 GB for the same price, also in the mean time can we move all Macs away from the 128 GB starting, for keeping sake iPhones start with half that now, and odds are people have more than twice the storage needs on their other devices than their phones. I'm probably going to go this route in the future. Anyone want to recommend a drive or enclosure they prefer? The new MBP is the most overpriced p.o.s product I’ve bought from Apple. And I’ve been at this since 1984, so ever. I truly wish I could do back to my gorgeous 2015 aluminum MBP. Simply better in every way imaginable. Sadly it’s too late... (and there’s this minor matter of a $4,100 piece of mediocrity that I’ve resigned myself to, since I am not sure of what else to do with it). Ouch. Sorry to hear about that. A lot of people seem to dislike where Apple is taking the MBP line. I am almost done with this Eco system. it is crazy that upgrades are so expensive. I am also still on my 2012 MB Pro i7 and for the first time in 20 year I am thinking about switching back to a PC fo my daily needs. Cost is becoming an issue. The base MB Pro storage should be 512GB. Also on the iMacs, Apple should start the base models with a standard 2.5 SSD, which is plenty faster than any spinning disk HD. I love apple but not at these prices anymore. Apple has become that Girlfriend with expensive taste. I love her but not at this cost, she has become too expensive and now I need a break. It is not you Apple it is me. Also the fact that there is no useful IO on these laptops is unforgivable. So for $4000 dollars I get to buy $300 adapters that plug into the side of the computer just to make the thing useful. Doesn't seem like a company that listens to its customers. I believe that Apple is on the decline in a MS type of way. Not that they will cease to be profitable but they will lose the respect of the computer industry and those that have loved and used their products for year. At no other time have I seen so many complaints after Apple releases, yet they seem to be blind to the damage they are doing to their reputation. Let me upgrade my darn hardware again sheesh. MOVES LIKE THIS ARE QUICKLY ERODING YOUR FAN BASE, AND ALMOST BEGGING FIRST-TIME COMPUTER BUYERS TO BUY SOMETHING ELSE INSTEAD. IT MIGHT BE TIME TO TAKE A FEW PEOPLE OFF THE WORLD-SHAKING TASK OF DESIGNING NEW EMOJIS AND HAVE THEM START MAKING REALLY GREAT AND CAPABLE MACS AGAIN, WHICH WOULD ONCE MORE BE WORTH THE PREMIUM PRICES YOU COMMAND. And yet they seem to be selling more than ever. The fact is nobody cares that you guys are unhappy and leave. Just like nobody will care if I someday get unhappy and leave the ecosystem. I have a 2015 sitting nearby...for anyone to claim it is better than my current 2017 MBP "in every way imaginable" is simply being stupid and really should leave the ecosystem. And the $4100 "piece of mediocrity" holds on to value sufficiently well for you to sell it and buy pretty much any other laptop you want. I love my 2018 MacBook Pro 15". I don't have and don't need any adapters. How many other people out there are like me? i have had far more external drives fail than internal. This is over 13 years of caring for about 4 dozen Apple computers & a lifetime of dealing with my own. For mission critical laptops, the users have a travel TimeMachine drive & clone (CCC). Both simply get plugged in & the respective software does its thing - CCC will even eject the clone.